Badminton champion and Olympics silver medalist in Women’s singles PV Sindhu wants to play herself if a biopic is made on her. Since her rise in sports especially badminton is an inspiring story and inspiration to many women in the country, when asked which actor she would like to see in her role, Sindhu surprised many by stating that she would like to play herself on the screen. P.V. 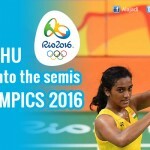 Sindhu, the badminton player who is currently at world number 2 position, has an unfulfilled dream. She does not want to be a part of any regular commercial film instead she is much more interested in doing a film which will be her biopic. She is not even interested in taking this as one of her career options in future, but she would love to do a film which is based on her true life story. It is just not the Silver Medal which she has won at Olympics, but they were several other matches which she has won after the Olympics. The very recent one is the First Super Series title (Indian open) of 2017. 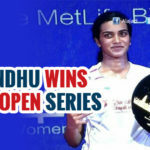 She won this by beating Olympic champion, Carolina Martin at the India Open Super Series title. This shows her true love and determination towards badminton. She’s already brand ambassador for quite a number of brands. 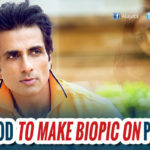 If she takes up acting too, certainly, this is going to be a big news. Filmmakers are you reading?